Connor McDonough-Flynn (@ConMcFlynn) #TakingTheStage #Opening on 12th of November 2015 at The International Comedy Club (@Intercomedyclub), one of Ireland’s premier comedy clubs, looking forward to this gig Ladies and Gentleman. Doors at 20:30. “The International Comedy Club has long been established as the birth place of Irish stand-up comedy. 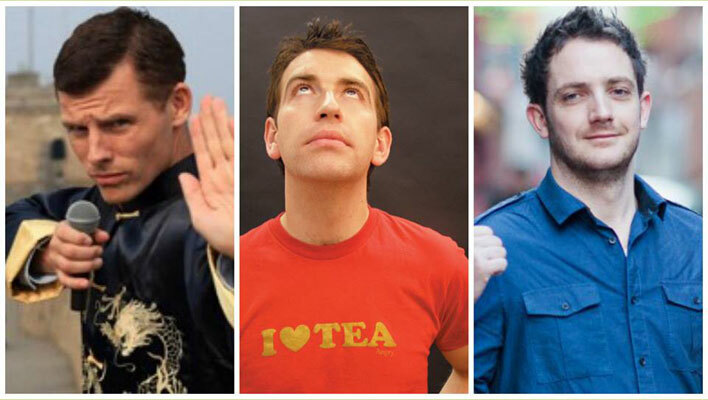 Opening it’s doors to the masses of worshipers over 12 years ago, the buzzing live venue has played a leading role in the rise of many of Ireland’s most prolific comedy geniuses. 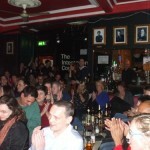 Based in the heart of the city on the bustling Wicklow Street, the International Comedy Club plays host to the newest faces of Irish Comedy along with the leading stars from the International stage (and everything in between!). The adored venue is the celebrated brain child of brothers Aidan and Des Bishop, who carefully hand pick the very best of comedy that Ireland has to offer four nights a week. With their fingers on the pulse and their renowned reputation to match, you are guaranteed the creme de la creme of live comedy night after night. Whether you’re a regular comedy groupie or dipping your toe for the first time, this is the only place to get your giggle on! Connor McDonough-Flynn (@ConMcFlynn) #TakingTheStage on the 24th of April 2015 at The International Comedy Club (@Intercomedyclub), one of Ireland’s premier comedy clubs, looking forward to this gig Ladies and Gentleman. Doors at 20:30. The first Inter gig has come and gone, and the yearning for the next gig has set in. The hardest part of being a comedian is being able to be a comedian, and the main ingredients in the comedian recipe are: stage time and an audience, The International had an ample supply of both. The night started off a bit chaotic, after a botched gig that never happened, I hurried my way to Wicklow Street for my second booked gig of the evening. I rushed up the stairs and was met by Danny O’ Brien, the evenings MC; thankfully there was time to compose myself, get a pint, and have a few smokes before my 7-minute open spot. The Inter is a daunting venue, the place was wedged, and the audience is right on top of the stage, which makes for a class atmosphere, and what makes the International such a superb venue for comedy. I started off well, gauged the audience, moved on to the ‘Buses’ bit, which went down well and allowed me to quiet down some chatty old one’s from Essex who were chirping away at the corner of the stage. ‘Lassie’ went down a treat. I ended with ‘Guns in Ireland’ and walked off stage to the audience’s applause, delighted with the evening’s events. The evening’s headliner Jarlath Regan complimented my short set with a handshake as he prepared to take the stage. The International is on 23 Wicklow Street, Dublin 2, Dublin, Ireland. If you haven’t been in you’re missing out, there’s 5-comedy shows a week (Thurs, Fri, Sat and Sun), call in to see the stars and the up and coming stars of Irish comedy perform live!